UTICA, NY – Only 13 percent of those surveyed think Americans need more government regulations, according to a recent IBOPE Zogby International survey. More than half of adults (55%) say that, in general, they feel the federal government already has too many regulations, while a quarter (25%) say there is just the right amount. In the survey, an overwhelming majority (88%) agree that the U.S. Government should keep its word and honor Native American treaties it has made with the nation’s Indian tribes. The survey of 1,000 adults in America, conducted Nov. 4 – 9, 2011, also finds that 51% agree that government regulation creates undue financial burdens on businesses run by Native American’s on sovereign tribal lands. When asked about credit use and responsibility, respondents largely believe it should be the individual’s responsibility when it comes to the type of credit a person can and can use (80%), compared to just 12% that say it should be the government’s responsibility. In the same survey, respondents made clear their agreement that individuals – and not federal or state regulators – should control their economic and financial choices. To that end, those surveyed were asked to state their level of agreement on a number of statements. Since most banks do not offer short-term loans of less than $1,000 and overdraft fees can be extremely costly, alternative loans like installment or payday can provide a convenient option for those needing access to a small amount of cash for emergencies. A strong majority (69%) of adults agree that the government should not be in the business of telling adults who have bank accounts that they cannot get a payday loan if they feel that payday loans are the best option or them, while slightly more than a quarter (27%) disagree. The government should not be in the business of telling adults who have bank accounts that they cannot get a payday loan if they feel that payday loans are the best option for them. A majority of adults (61%) say they agree that as many banks have tightened lending practices and raised prices for their products in the recent economic downturn, the government should not limit the options available for individuals seeking loans by imposing regulations on short-term lenders, but 31% disagree. Adults are more than twice as likely to say they strongly agree with the statement (33%) than they are to strongly disagree (13%). As many banks have tightened lending practices and raised prices for their products in the recent economic downturn, the government should not limit the options available for individuals seeking loans by imposing regulations on short-term lenders. A strong majority of adults (70%) agree that the same standards should apply to short-term lending that the gaming industry receives as long as they self-regulate and treat customers fairly. Respondents are almost four times as likely to strongly agree with the statement (38%) than they are to strongly disagree (10%). Like the gaming industry, sovereign nation tribes have the right to operate e-commerce businesses, so long as they self-regulate and treat customers fairly. 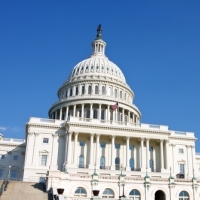 Do you agree or disagree that the same standards should apply to short-term lending? 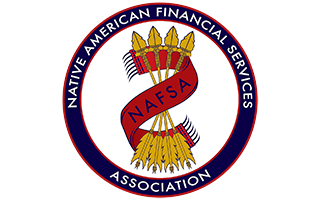 IBOPE Zogby International was commissioned by the Native American Lending Alliance to conduct a telephone survey of adults from 11/4/11 to 11/9/11. The target sample is 1,000 interviews with approximately 21 questions asked. Samples are randomly drawn from telephone CDs of national listed sample. IBOPE Zogby International surveys employ sampling strategies in which selection probabilities are proportional to population size within area codes and exchanges. Up to six calls are made to reach a sampled phone number. Cooperation rates are calculated using one of AAPOR’s approved methodologies and are comparable to other professional public-opinion surveys conducted using similar sampling strategies. Weighting by region, age, race, party, education and gender are used to adjust for non-response. The margin of error is +/- 3.2 percentage points. Margins of error are higher in sub-groups. The MOE calculation is for sampling error only. Please note, for the purposes of this report, all numbers have been rounded to the nearest percent and thus may not sum to 100%. Please visit www.ibopezogby.com for more information on IBOPE Zogby International. IBOPE Group is a Brazilian multinational company specializing in media, market and opinion research with offices in the United States and 14 Latin American countries. Since its founding 68 years ago, it has been providing a wide range of information and studies on media, public opinion, voting patterns, consumption habits, branding and market behavior. For more information on IBOPE Group, please visit www.IBOPE.com.